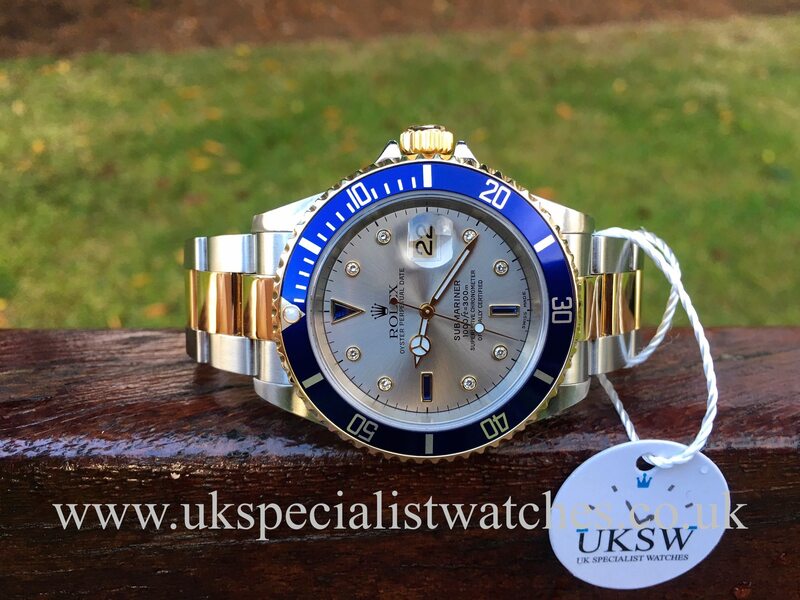 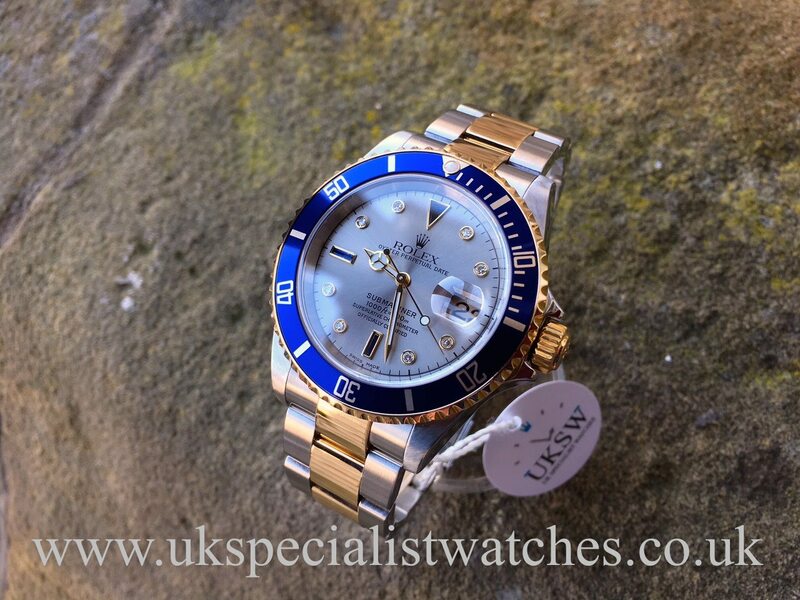 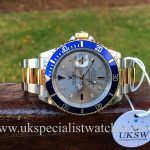 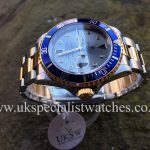 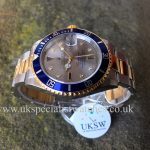 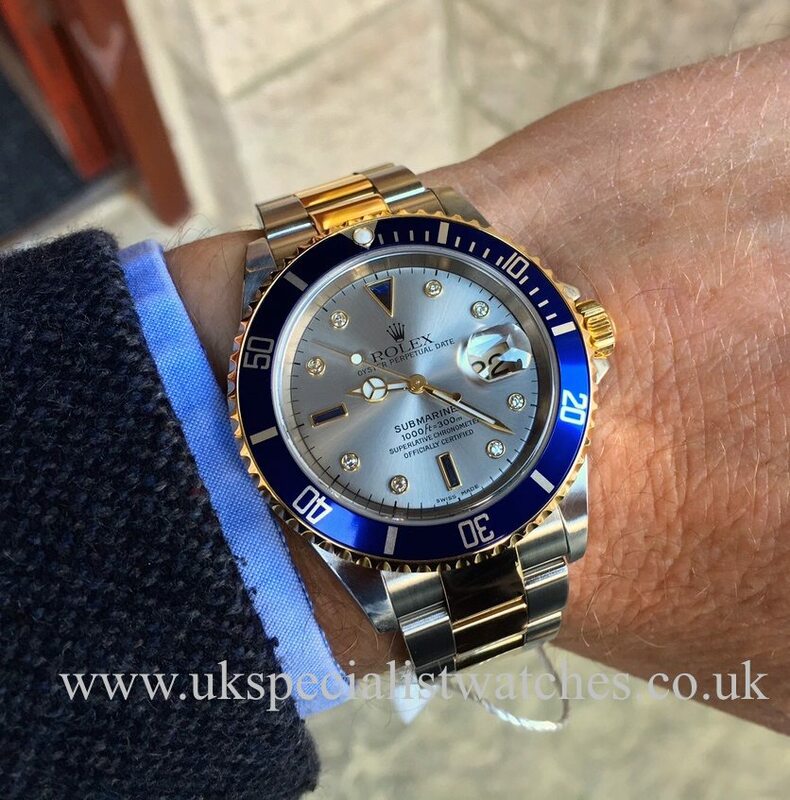 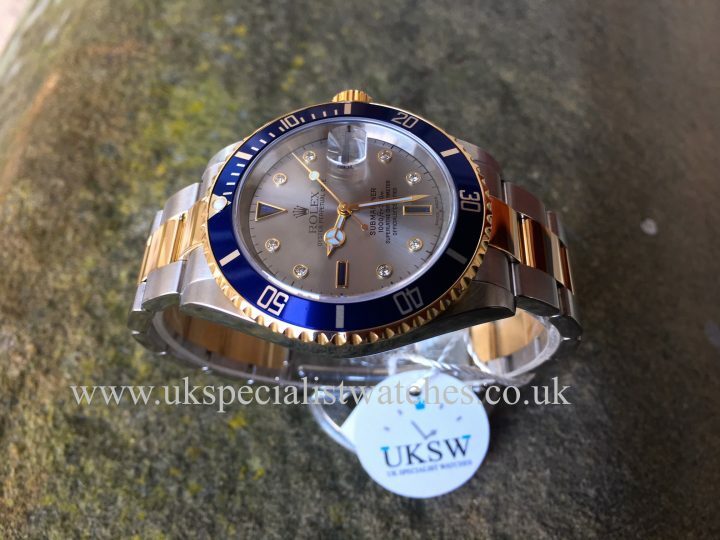 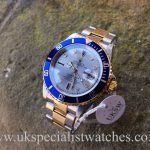 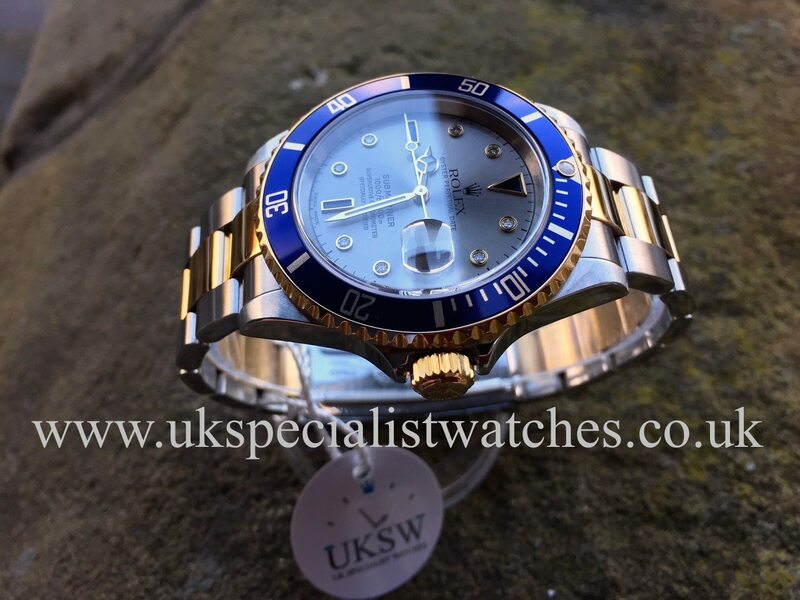 Rolex Submariner 16613 Stainless Steel 40mm case with 18ct gold bezel and blue insert. Stunning rare factory Rhodium Serti Dial which has blue sapphires set at 6, 9 and 12 o’clock and a further 8 diamonds for the rest of the hour markers. 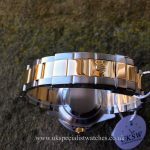 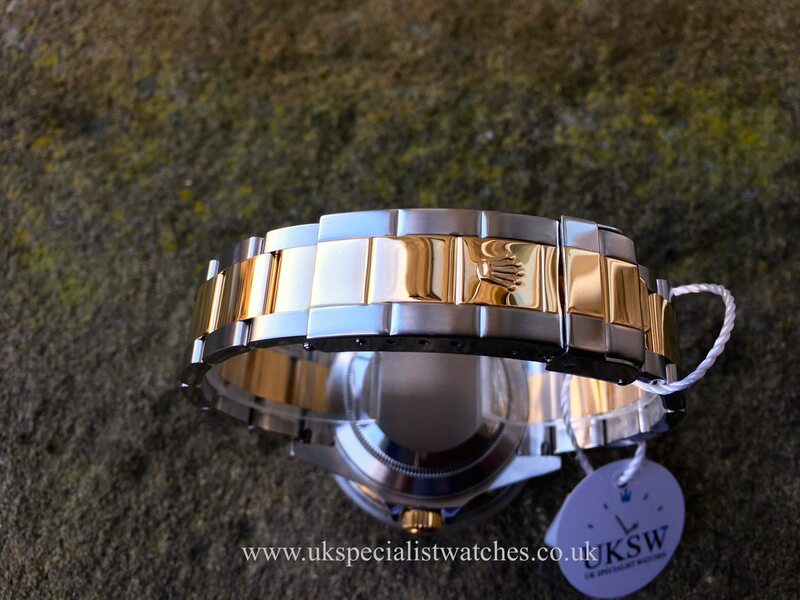 Fitted with a Stainless steel & 18ct yellow gold Oyster bracelet with double folding clasp. 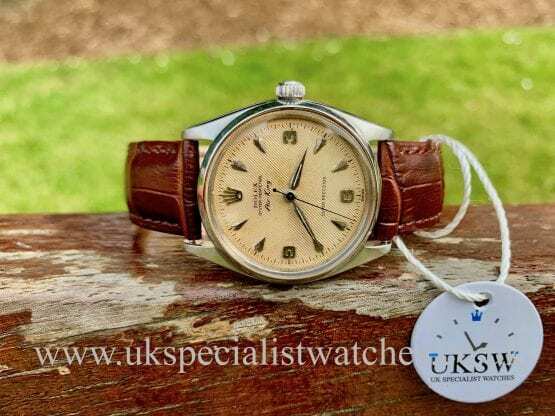 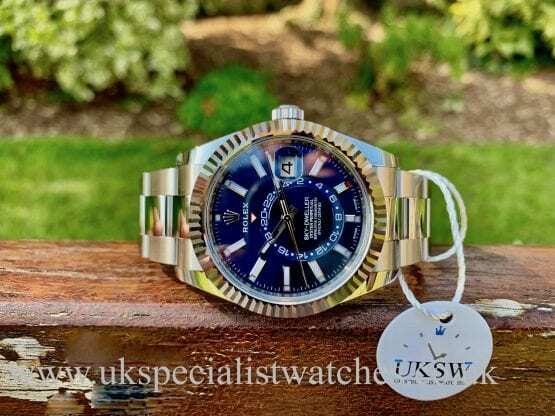 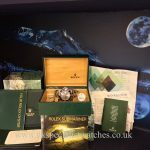 With very few Rhodium Serti Dials available on the internet today our one owner full set example is probably one of the finest available for sale! 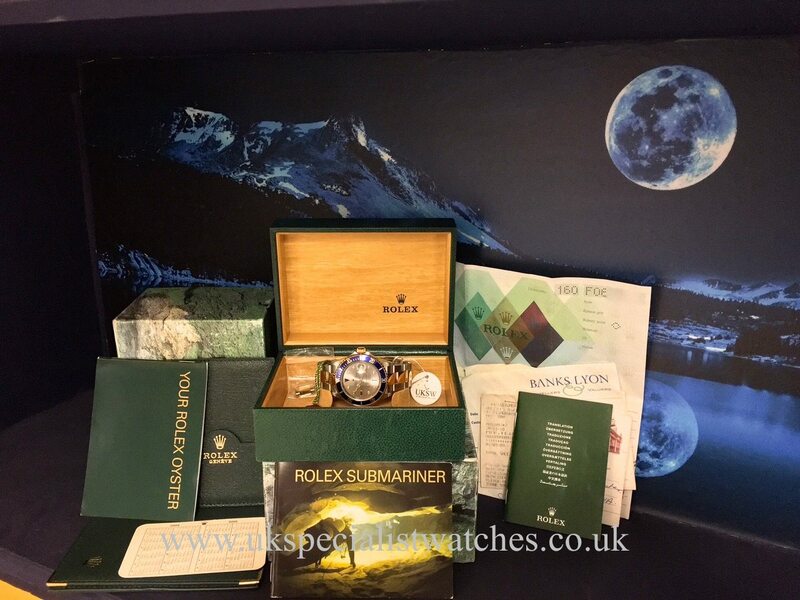 This rare and very collectable Submariner will only continue to increase in value! UK supplied new in March 2004 & comes complete with all original boxes, punched papers, green leather wallet, original purchase receipt, swing tag, both booklets and service receipt dated November 2010.